So many great books, so little time. Do you ever feel that way? I have a stack piled high of books- really great books- that I'm loving right now. And I'm excited to be sharing the author of one of those great books with you today. Kari Kampakis is the mother of four daughters and author of 10 Ultimate Truths Girls Should Know. This book is written TO and FOR tween girls. It is filled with practical advice, loving support, and insightful discussion questions, and is a timely and approachable list of guidelines that will help young girls navigate a broken world and become the young women God made them to be. I wish this book had been available when I was young!! So it is pure joy for me to share Kari Kampakis with you today. I learned early that my children aren’t robots. They are real people with unique personalities and distinct thoughts, opinions, moods, and behaviors. I adore my four girls, ages 12, 9, 8, and 4. They are funny, smart, compassionate, and beautiful inside and out. When my first daughter was born, my life immediately split into two: Before & After. 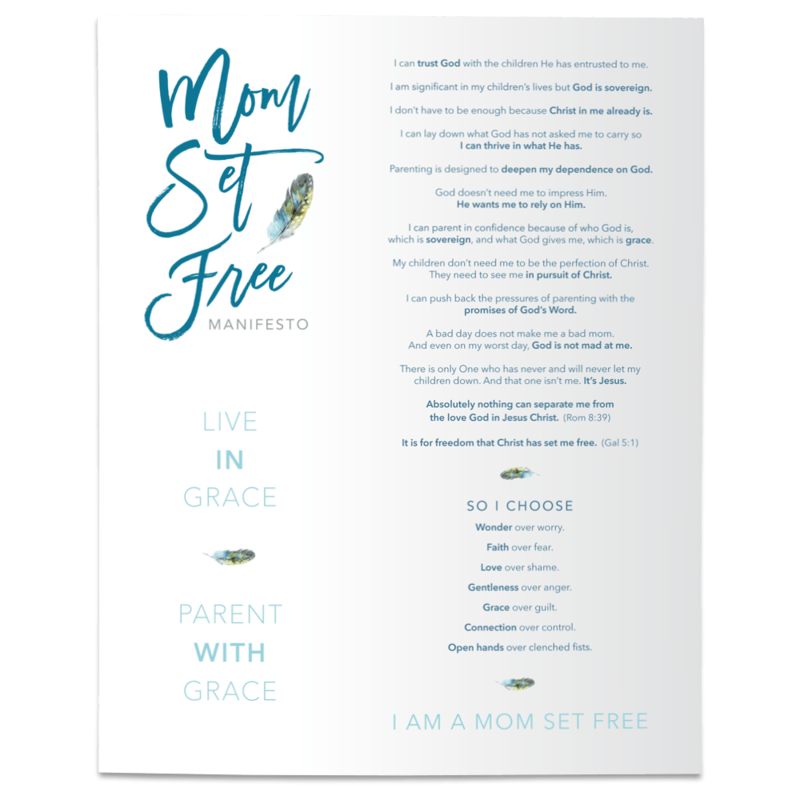 While life may have been easier before I became a mom, it wasn’t nearly as rich and meaningful as it became after that game-changing moment. Like all families, we have ups and down. And while the highs are spectacular, the lows can make me wonder where I’ve gone wrong, or if I’m failing as a mother. That’s one of the many reasons why I love Jeannie Cunnion’s writing, because it opens my heart to God’s love and grace. It helps me stop, breathe, and rest my anxious soul in Jesus. More than anything, I want my daughters to rest in Jesus, too. I want Jesus to be their safe place, the rock they count on when the world lets them down (me included). I pray they’ll have hearts on fire for Christ and be so strong in faith that everything else I hope for them - confidence, courage, joy, peace, purpose, and devotion to a cause bigger than themselves - will naturally follow. My desires are good, but since I feel so strongly about their spiritual life, I sometimes catch myself approaching it wrong. In my head, I have this idea of what their faith should look like, and when it falls short of my expectations, I can get frustrated. For instance, when one of my daughters complains about going to church, or refuses to listen while I read a devotional, or seems only mildly interested in Jesus...well, I’ve mistakenly interpreted such events as signs that their relationship with God is in jeopardy. I’ve forgotten these are just children with a lot of growth, experience, and maturity still ahead. My problem, I’ve come to realize, is that I’m in a rush to help them fall in love with Jesus. I want the peace of knowing now that they’ll stay on a godly path when their peers and others try to pressure them otherwise. But as I said earlier, my children aren’t robots. There’s no way to predict who they’ll become or what choices they’ll make. And while it’s imperative that my husband and I create a Christ-centered home and model virtuous lifestyles, we also have to accept that ultimately, faith is a choice our daughters must make for themselves. The good news is, my girls are now old enough for me to see how God is working in their lives without any assistance from my end. To be honest, it’s fascinating to watch. Because the signs I get come in unexpected moments and unexpected ways. They remind me that God is, indeed, an intimate part of their lives and already influencing them in ways I can’t always observe. When my daughter tells me about a prayer she’s prayed for months - and how God finally answered it - I take it as a sign. When my daughter writes a poem about God that I accidentally stumble across while putting up laundry in her room, I take it as a sign. When my daughter’s teacher texts me a picture of crayon boxes that she arranged into a cross, or tells me how her heart melted when she heard my child talking about brothers and sisters in Christ on the playground, I take it as a sign. When my daughter dresses up her Thanksgiving turkey as an angel for a school project, I take it as a sign. When my daughter shares a profound statement that can only be the Holy Spirit talking, I take it as a sign. And when I see my daughter being a good friend, or hear from another mother about the love she showed her child, I take it as a sign. As Christians parents, we hope and pray for godly daughters. And really, it’s not rule followers that we most deeply desire, but Jesus followers. Because rule followers engage with their head. Jesus followers engage with their head and heart. Rule followers expect life to make perfect sense. Jesus followers accept the mysteries of faith. Rule followers trust the system. Jesus followers trust God. Would it be easier if our daughters could be programmed like robots, guaranteed to always stay obedient? Certainly. Then again, robots can’t fall in love with Jesus. Robots can’t take a dream God’s placed on their heart and bravely pursue it in Christ’s name. Robots can’t shine their light for God and radiate wherever they go. What the future holds for our daughters is unclear. And while that can be a source of anxiety, I’m learning to view it instead as a source of excitement. Because God has a plan for every one of our daughters. He knows the details of their entire story. Nothing will surprise Him, and nothing can separate our girls from the love of God that is theirs through Jesus Christ (Romans 8:38-39). Even when we don’t see proof, God is moving in our daughters’ lives. He wants their hearts on fire for Jesus, too, and through a personal relationship, He’ll win our daughters over, reveal Himself in His perfect time, and fan into flames the deepest longing inside our girls that can only be satisfied by the One who died to save them.